Rajasthan: With 17 swine flu positive cases reported in the first five days of 2016 in Rajasthan, the state government is gearing up to deal with the highly contagious H1N1 virus that hit it hard last year. 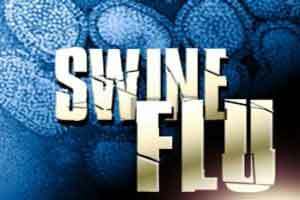 In 2015, over 6,800 positive cases of swine flu were reported and the toll was around 468, a senior health department official told IANS here on Wednesday. “We do not want to take any chances and we have started to take steps or measures to curb the spread of this disease, which usually hits the state most during the winter season,” the official said. “Of 17 positive cases reported, nine are from Jaipur, four from Kota and the rest are from other cities,” he added. “We are fully prepared to deal with the disease,” the official said, adding that awareness campaigns on swine flu have been launched. Directions have been issued to conduct diagnostic tests at the earliest on the patients showing signs or symptoms of swine flu.